There are a lot of attractions and activities to do in Southern Cebu that you surely want to see and try. 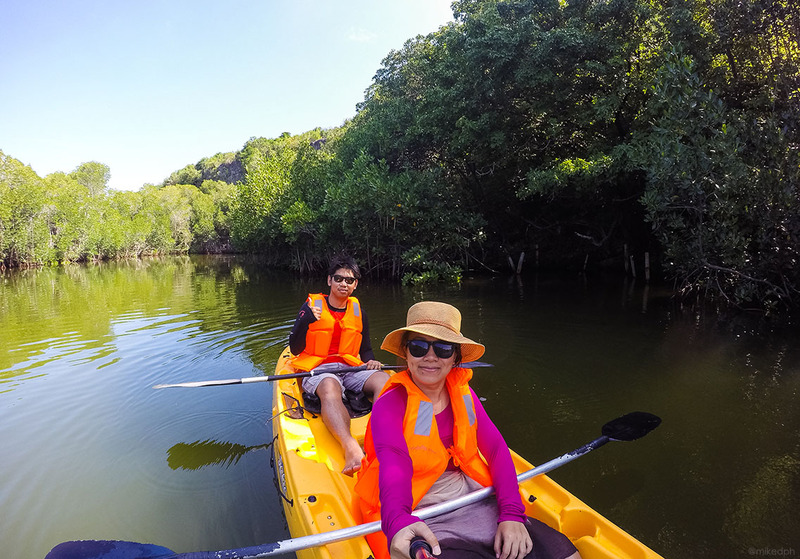 From chasing some waterfalls, swimming with the gentle giants, beach bumming in white-sand beaches, to canyoneering, this trip will surely satisfy the adventurer in you. There are several ways to get to the towns of Southern Cebu. There are bus lines and vans that can take you from Cebu City to the towns of Southern Cebu. South Cebu is also accessible in some nearby provinces like Negros Oriental and Bohol. 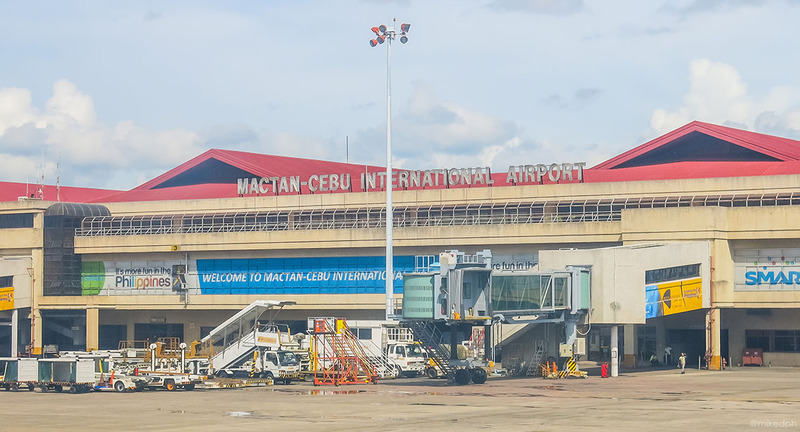 The fastest and most convenient way to get to Cebu would be by air. 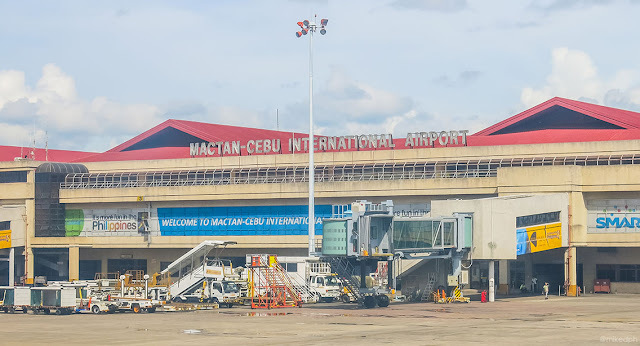 The travel time from NAIA to Mactan-Cebu International Airport (MCIA) is around 45 minutes. 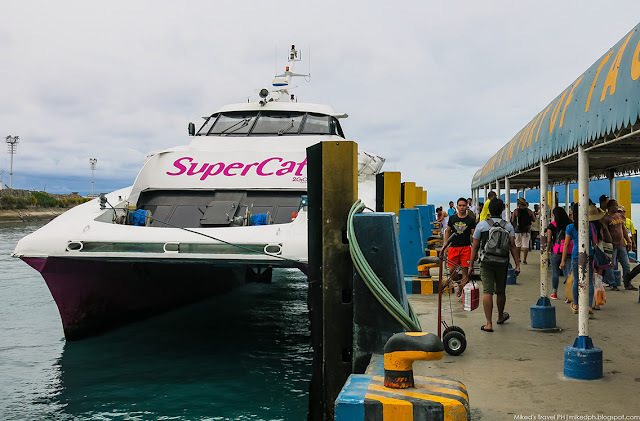 There are also ferries that can take you to Cebu from Manila but for longer travel time. By air, PAL, Cebu Pacific, CebGo and AirAsia have Manila to Cebu flights. Cebu Pacific and AirAsia usually have promo flights that are cheaper. By sea, If you don't like flying, you can take a ferry from Manila to Cebu for a 22-hour travel time. You can check 2Go Travel for pricing and schedules. Once you reach Cebu, go to South Bus Terminal and ride a bus bound to Bato the last stop for all the buses going South. There are two routes the buses take. Take via Barili route if you are bound to the towns Barili, Moalboal, Badian, Malabuyoc, Ginatilan and Samboan and via Lilo-an for Oslob. Cebu is also accessible from neighboring province Bohol by regular ferries and fast crafts. Go to Tagbilaran City Tourist Port to ride either a regular ferry or a fast craft. The travel time for regular ferries is around 5-6 hours while fast crafts are only 2 hours but it's much expensive. The southernmost town of Cebu is Santander. From there, you can see the island of Negros Oriental. You can reach Santander from Negros Oriental by fast crafts and even pump boats. 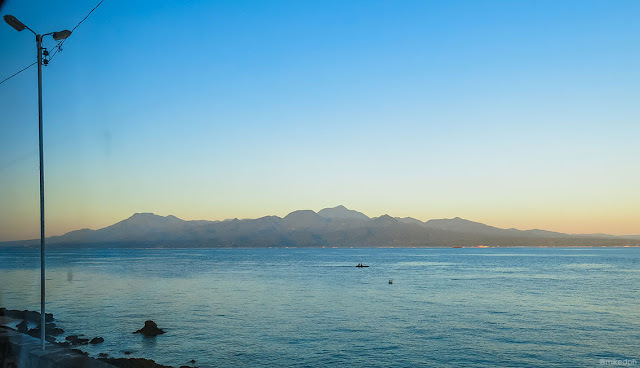 Go to Sibulan Port in Sibulan and ride a ferry going to Lilo-an Port in Santander. Travel time is around 30 minutes. From Santander ride a tricycle going to Ceres bus terminal in Bato. From there you can ride a bus to the southern towns. Most of the towns in Southern Cebu are coastal towns so you will find a lot of resorts and accommodations where you can stay. Here are some places you can stay in each town. There's just a lot of things to do and attractions to see in Southern Cebu, your itinerary will be full and jam-packed. 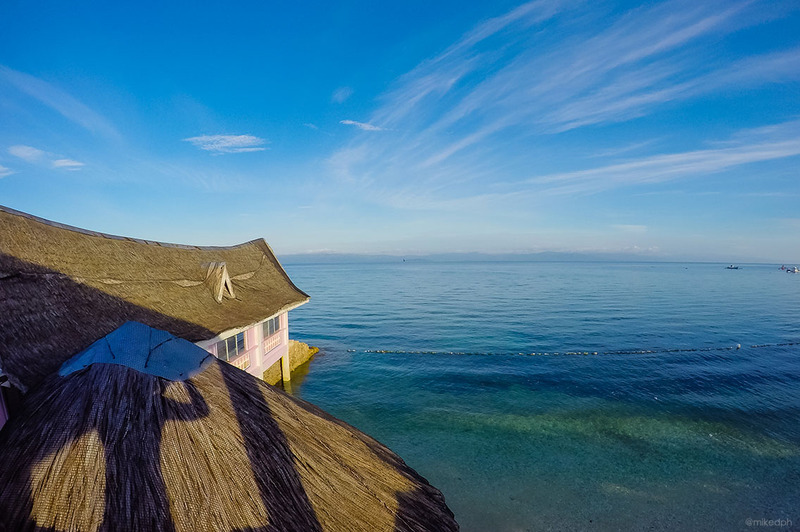 Here are the things you can do and attractions you want to see in Southern Cebu. Chasing Waterfalls - There are a lot of waterfalls in Cebu. Some of it is already developed so it's accessible to go there. Almost all towns in the Southwestern part of Cebu have a waterfall. 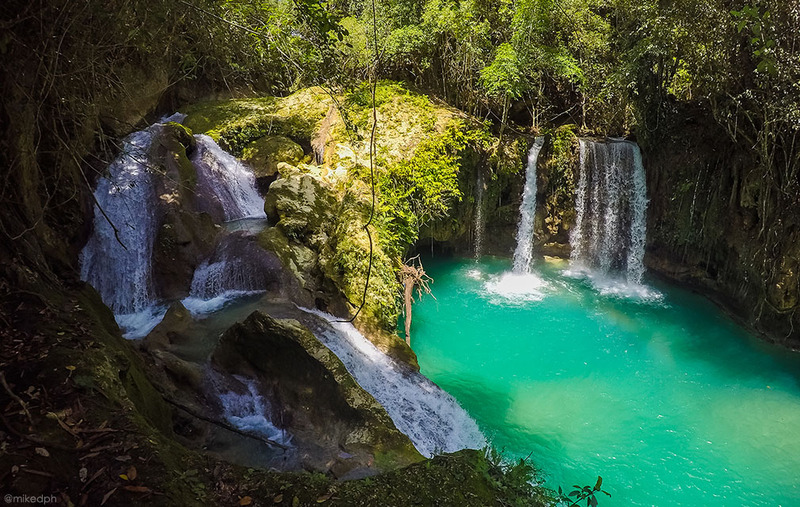 Probably the most popular among tourists is the Kawasan Falls in Badian and Tumalog Falls in Oslob. 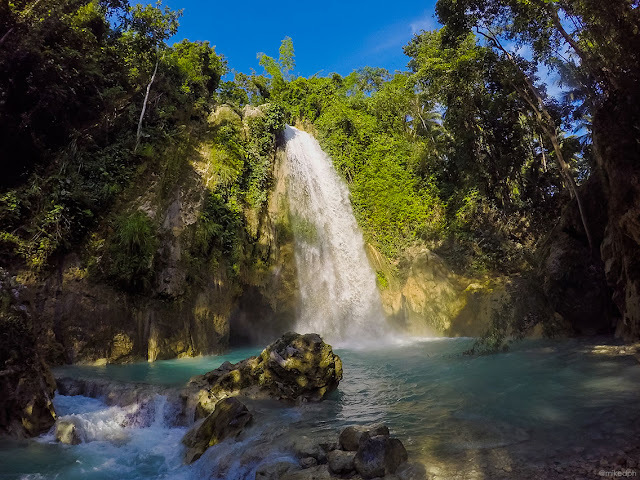 But, there are more waterfalls that are worth to see in Southern Cebu like Mantayupan Falls in Barili, Montañeza Falls in Malabuyoc, Inambakan, Kampael, & Bugnawan in Ginatilan and Aguinid, Binalayan (Hidden), & Dao Falls in Samboan and there's more! Town Tour/Visit Heritage Sites - Cebu is not only rich in natural wonders but also in heritage structures. 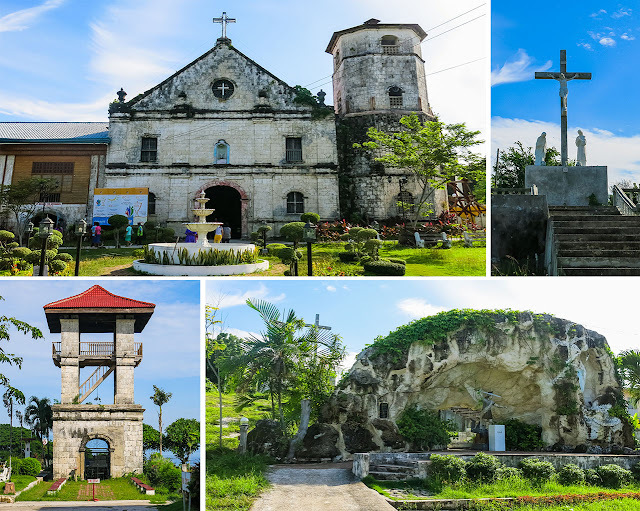 Visit the century-old churches in Malabuyoc, Ginatilan and Samboan and some heritage structures in Oslob like the Cuartel, Baluarte and Immaculate Conception Church. 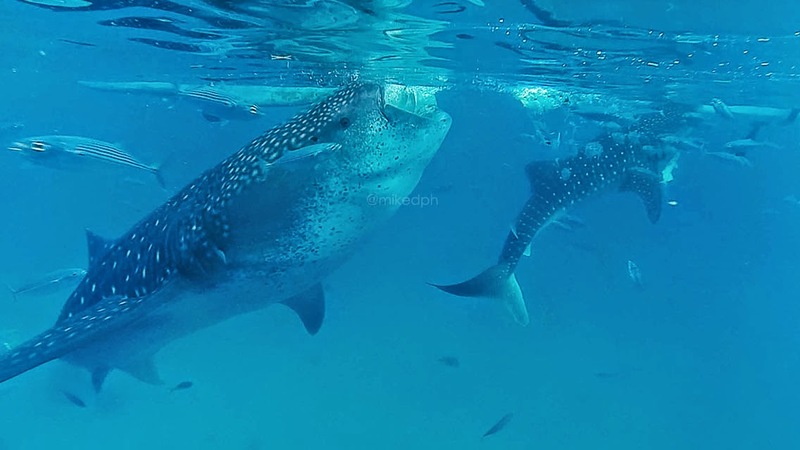 Whale Shark Watching - Oslob is very known to many tourists and travelers because of the whale sharks. If you want to see and experience swimming with the gentle giants, then this is the place to be. You can read more about whale shark watching in my article here. 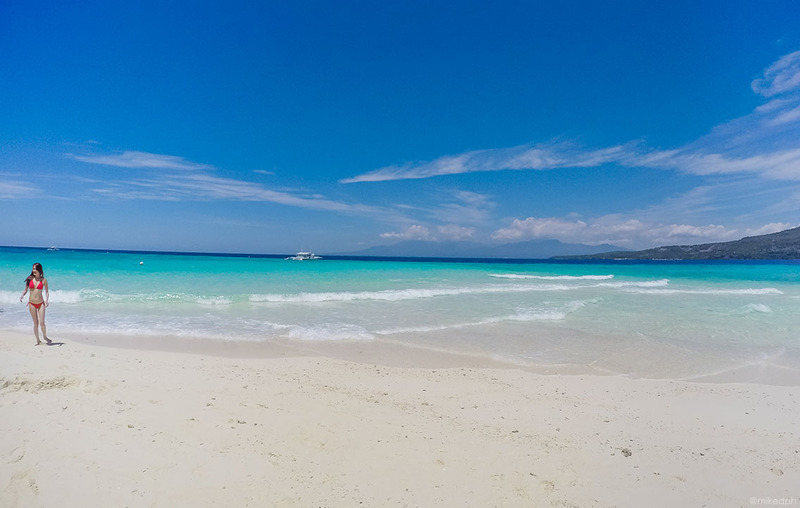 Tour Sumilon Island - Bluewater Sumilon Island is a small private island resort in Oslob. Staying here is quite expensive, ranging from PhP 10,000.00 and up. But you can have a day tour option to explore, or just to relax on the island. It's beautiful sandbar is open to the public, but, you need to hire a boat to get here. You can read more of our day tour experience in this article. 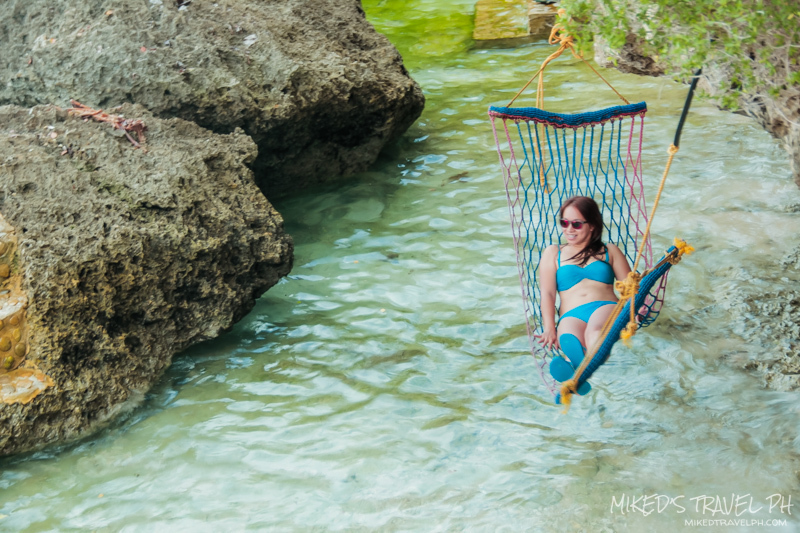 Beach Bumming in Cangcua-Ay - Aside from the whale-sharks, Sumilon Island and Tumalog Falls, there's another spot in Oslob where you can relax and chill after your adventures. A private beach inside Villa Modern Deluxe resort. Read more about this instagram perfect beach in this article. 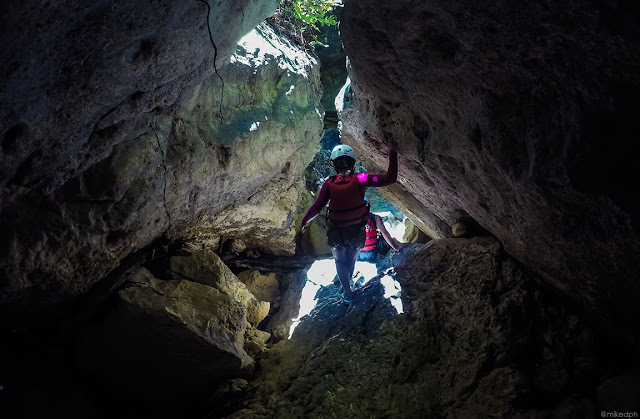 Canyoneering in Badian - This is the most exciting and extreme activity in Southern Cebu. Go downstream canyoneering in Kanla-ob river in Alegria to Kawasan Falls in Badian. This is really a must-try activity that you should experience. You can also go upstream canyoneering if you're up for more challenge. You can read more about downstream canyoneering in this article. 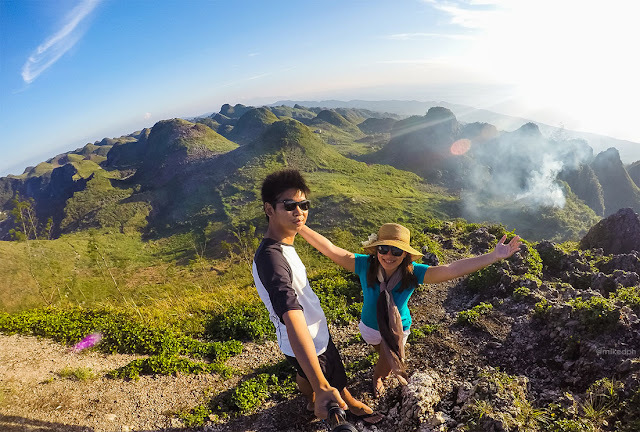 Hike to the Highest Peak in Cebu - Watch the sunset or sunrise in Osmeña Peak, the highest peak in the province of Cebu. Osmeña Peak is in Mantalongon, Dalaguete which is considered the summer capital of Cebu. Read more about Osmeña Peak here. 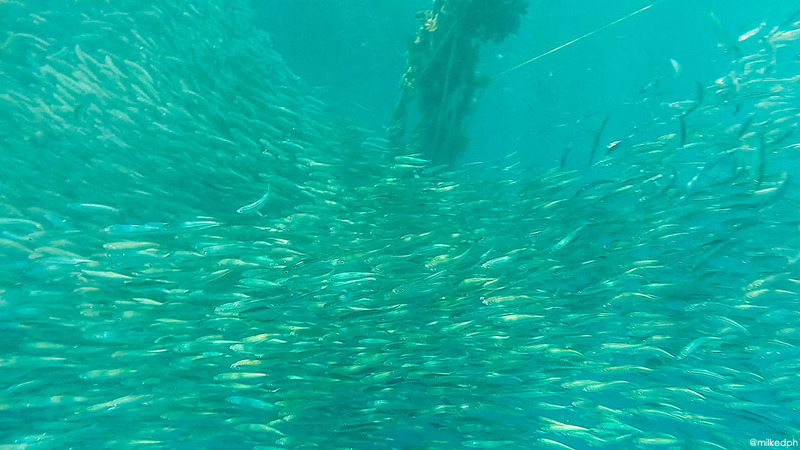 Discover Moalboal's Marine Life - The best diving spots are found in Moalboal. Pescador Island on Panagsama Beach is considered a diver's paradise because of its rich marine life. But, If you don't feel to go diving or snorkeling, you can always go beach bumming in the Basdaku White Beach. 4 days won't be enough to fully experience South Cebu. So Here's a 5-day 4-nights itinerary. 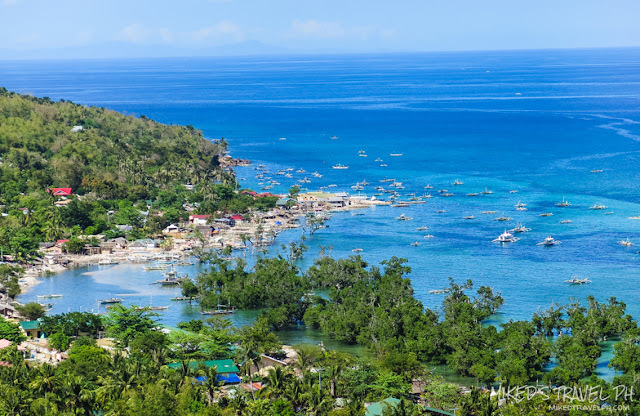 This itinerary starts from Samboan (chasing waterfalls), then Oslob (whale-shark watching and Sumilon Island tour), then Badian (canyoneering and hike to Osmeña Peak) and then to Moalboal (Pescador Island). Day 2 - Chasing Waterfalls! Here's a breakdown of what it'll cost per day on a 5-day South Cebu Adventure. This only includes expenses that are necessary like fares, food, tour guides, entrance fees and accommodation. Tips and other expenses like "pasalubongs" are not included. Hi! Thank you for this article. Do you have the contact number for the boat you have rented during your island hopping in Moalboal? This is the cheapest boat rental I have researched on since others got it at P2500, whereas you got it for only P1800. Thank you very much! Great writeup. I'm going to use your itinerary when I travel to cebu! Hello! Where did you get the package of canyoneering and Osmena Peak? I'm interested. Thank you! hi, from baliri pano papunta samboan? Hi there, you can take a bus from Baliri to Samboan. All your posts are so helpful for a foreigner traveling to the Philippines/Cebu. I was wondering if you know how I can get from Oslob to Moalboal as I will be skipping out Samboan. hi i would like to do badian, oslob and moalboal since i have only a few days in my cebu trip. is this feasible? Good day! This is Paula Bianca Brocka. May I know if you availed package for Oslob (whale shark watching) and Kawasan (Canyoneering)? Or just DIY? Because I'm planning to go in Cebu on July.. Need to budget my money wisely.. Is it okay to get tour package for Oslob-Kawasan? Or just go there within my preferred date without reservation for that kind of adventure? Will someone entertain us? Or need to book? Any suggestions please? Thank you. Hi Paula, we only availed a package tour for the canyoneering. For the whale shark watching, resorts in Oslob accommodates walk in guests and their rates for the whale-shark watching is standard. For the canyoneering, I suggest to try to search tour providers online first so you could have the cheapest option. Thank you so much Sir Mike for your quick reply. 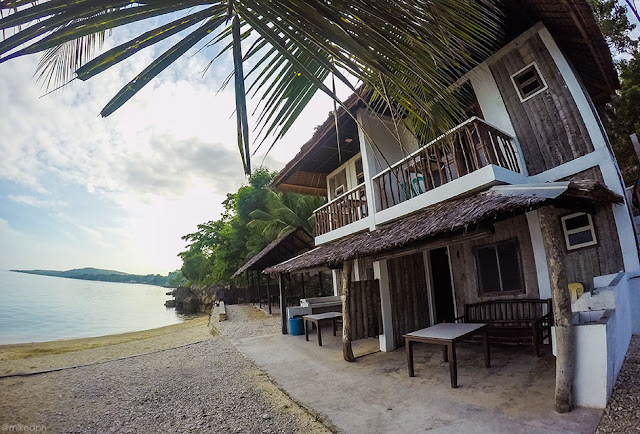 May I know where to stay in Oslob? Any suggestion for cheap accomodation? Thank you. Thanks Sir Mike. Your article is very informative.. Thumbs up! Great job! Hi there, yes Bato is the terminal of Ceres buses. If you're going to Bato from Oslob, you can also take a bus going south along the highway. You will just need to wait for it . For AC buses, I think there are but most common are non-AC so you will need to wait for it. Thank you :) If you will be going to Oslob for the whale shark watching, you could also drop by Tumalog Falls (but i'm not sure if there's water on it now), Sumilon island sand bar, and Cangcua-Ay Beach. You could also go to Samboan to see some of the waterfalls. Hi, just wanna ask lng po kung anung sinakyan niyo galing sa resort nyo sa la playa papuntang mantalongon para mag Osmeña Peak? Thanks po. Hi there, nag habal-habal kami from La Playa to Osmeña Peak. Included sa package na nakuha namin from Highland Adventures.The travel time btw, is around 45-minutes to an hour. Hi Kayli, thank you for reading :) In regards to your itinerary, yup that is feasible. From Badian to Oslob, sakay ka na lang ng bus bound to Bato. Last stop non is yung terminal sa Bato, then sakay ka nalang ulit ng bus to Oslob naman. From Oslob to Moalboal naman, sakay ka lang bus bound to Cebu (ask mo na lang yung conductor to drop you off in Moalboal. Then in Moalboal may bus ulit papuntang Cebu. Hope this helps, enjoy your trip! My South Cebu experience was Great! Nagamit ko po ng sobra! Hi Mike! Quick question here, for how long yung trek to Osmeña Peak? Yun kasi yung plan ko na huling puntahan then after the trek will be going back to the city na kasi ang flight back ko to Manila is early morning the following day. Thanks! Hi, you are welcome :) From the jump-off point, around 15-20 minutes lang. Actually, mas mahaba pa yung travel time from Badian to Dalaguete. Hi Reilyn, Yup mostly like that, backpack lang naman dala namin para madaling lumipat-lipat. Sa Moalboal lang namin dala lahat since hindi na kami nag-stay doon for the night. Hi sir, naghire po ba kayo ng tour guide for the day 2 IT? Dun po sa mga falls? And sa Osmena Peak? Thank you. Hi Ceelin, Thanks! :) habal-habal with driver lang yung hi-nire namin to bring us to the waterfalls. 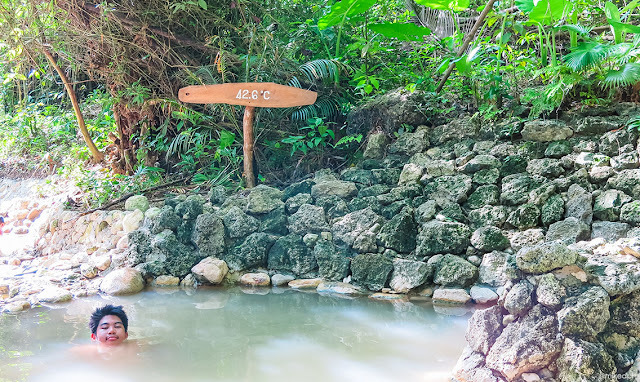 Sa each waterfall kasi may guide na naka-assign sa mga guests. Sa Osmena Peak naman, yung driver narin namin yung nag guide sa amin sa peak. Hi! Saan resort nyo po nakuha ung pescador island and sardine run. Thanks! Hi Macky, we just inquired from the tricycle drivers along the highway. Hey! How long did it take u from Oslob going to Badian(canyoneering)? We are planning ksi to do a oslob+canyoneering day tour. Hi Mike! :) Thank you for your detailed itinerary. It is very helpful! I would also like to ask if what resort do you had availed your P1800 pescador island and sardines run. I've checked some other blogs and they say that it cost them P2500. Hope you can help me out with this. Thanks a lot and more power! Hi there! We didn't get it at a resort, the tricycle drivers along the road offered it. Unfortunately, I don't have the contact number. Hi Where did you stay in South Cebu, we will be doing North-South kasi. And I have no idea where to stay in South Cebu. And pagkakalapit lang ba sila? Hi, we stayed in different places on each town which you can check above. hi mike, your blog has inspired my cebu trip. could you maybe arrange my itinerary since you seem very aware of cebu geography. im travelling for full 4D/3N, arriving early at 5am and leaving 9pm on the last day.. i want to do kawasan canyoneering, oslob whale shark, simala and moalboal-snorkeling/sardines run. what would you do in terms of arranging them considering the travelling involved. much appreciated. In la playa. It was recommended by highlandadventure,right?? Do i need to have reservation for that or walk-in will do? What do you do with your luggage as you move from Samboan to Oslob to Badian to Moalboal? Hello there, Mike - did you try full canyoneering? Is it okay to bring dslr if I go for full canyoneering activity? By the way, you've got nice shots, would you mind if I ask for the camera setting? - shutterspeed, ISO, and aperture.